This is seriously every teacher’s worse nightmare. What’s a teacher to do? I mean you have what you thought was a pretty good lesson planned, limited supplies, and of course hardly any time to spare! But your student engagement is L.A.C.K.I.N.G! These nine tips will change it up just enough to save those “ANYONE? ANYONE?” lessons! I’m a HUGE fan of games in the classroom. Games help create an authentic learning experience in a way that reads more fun then learning. But kids end up learning so much more! Instead of some boring old worksheet to work through, games allow students to get up out of their seats, play with their friends, and kiddo’s fave… talk. Students retain what they learn when the experience has been enjoyable. Games do this! Math games are some of my favorite to incorporate. You can read more about 5 of my favorite math games here. You can bring games into your ELA time as well! You could play Quiz, Quiz, Trade with your vocabulary or spelling words for the week. Task cards work great with this game as well! To play is SIMPLE! To play, pass out cards to each student. Have students find a spot somewhere in the classroom. When you say begin, students walk around classroom with their hand raised. When they walk by someone they haven’t worked with before, they clap hands to confirm they are partners. Then, students quiz each other on their cards. If a student struggles, the other child coaches the student through the question. Then they thank each other for working together, trade cards, and continue to walk around the classroom with their hand raised until they partner with someone new. I like to give about 10 minutes (TOPS!) for this structure. Center activities also work well for spicing things up! Before working a center activity into your rotations, modify it for a whole group. Double bonus- kids are engaged AND now they know how to play BEFORE you place it into your centers. Here’s a Cause and Effect game that we played as teams after reading the story, Click, Clack, Moo. You can read more about that activity here! Anytime a kid gets to play against their friends, they’re engaged! So, instead of a boring ol’ worksheet on prefixes, my thirds and I played a rousing game of Prefix Bingo! The best part? Student were actually LEARNING! Read more about that game here! Or if time permits, move to the hallway or to a different classroom. I’ve done quite a few co-teach lessons and the kids LOVE having a different teacher or a few new friends in the room. Ok… let’s be honest. Even as the teacher, we get tired of hearing our own voice. Like seriously… do I have to say that AGAIN?!?! BLAH! So, save your voice (and your sanity) and put those little boogers in charge! You’d be amazed at what happens when all of a sudden it’s a kid up there and not the boring old teacher! Here students are leading a review of some phonics exemplar posters the class had made. One student is leading the discussion. The other is monitoring the behavior. You can read more about that lesson here! Now, be warned. The first few times you do this, you need to train them. You need to train the kiddos who are in charge AND the kiddos who are doing the learning. But, I promise after you’ve done it two or three times, those kiddos are good to go! I love using kids when it’s time to review lessons at the end, or looking over projects we’ve done as a class. The kids get so serious and you the teacher, can sit back and reap the rewards (no loss of voice, or finally finish that cup of now-cold coffee) of all their hard work. Another way… Having the kids be accountable for their learning. That means EVERYONE answers! 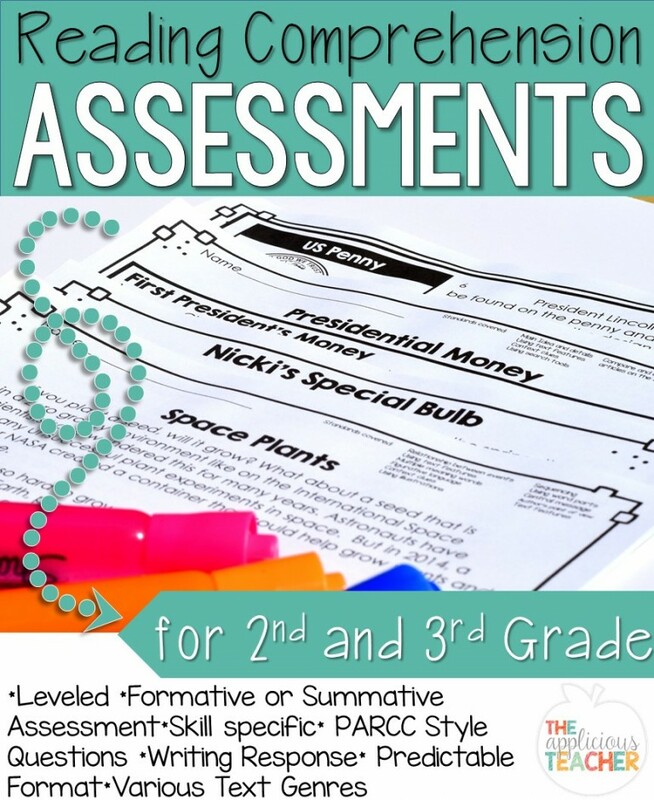 I like using my Interactive Anchor Charts and some sticky notes for this one! Something about every student having to do that work that gets them more engaged! Learn more about Interactive Anchor charts here! If you’re looking around and glazed eyes are all you see… start thinking of ways to get those kids working with a group of other students! Have them make a reference poster, or play a game as a small group. Here the kiddos are working to create reference posters for the prefix “un”. You can read more about that fun activity here! Or, have the kiddos participate in collaborative discussions about a text you’ve read! All you really need is to review some quick ground rules and Vowah-la! You’ve got engaged kids talking about text! Teacher score! Here the kiddos are discussing how they would react to certain events that could happen in our classroom. Read more here! Read more about getting collaborative conversations started in your room here! For this fun activity, I had the kiddos work to make inferences of illustrations using a picture prompt. In their table groups, students passed around a picture prompt, then inferred different story elements and recorded them. You can read more about that activity here. Music can transform a lesson. Seriously, it can! Music is a great way to introduce a new concept, or help solidify a new idea. I love teaching kiddos little songs to help us with that big tricky vocabulary! When we were learning about the scientific method in third grade, we HAD to learn the rap that helps students remember all the steps! You can read about that fun day here. Even if students (or the teacher) aren’t really into singing and dancing, you could play some classical music while students are working. I remember one teacher on my team used to do this. She called it her “thinking” music. If she couldn’t hear the music because of talking… then the kiddos weren’t thinking. Whatever works, right? Hands down, kids LOVE technology. They are digital natives. Believe me I get it… but just plopping a kid on an Ipad isn’t enough to keep them engaged! The magic comes from having the kids CREATE! Popplet is one of my favorite creation based apps. Seriously, the possibilities of this app in the classroom is ENDLESS! You can read more about using this amazing app! My kiddos LOVE making posters in Pickids! and this teacher loves the engagement without too much work on my end! Woop! I don’t work at a one-to-one school by any means. We only have 5 ipads per teacher, so I like to blend collaboration with technology when engagement is rough! When times are tough… the tough get moving! When brains are turned off, adding movement to lesson will help bring those little zombies back to life! Learning new vocabulary? Have the kiddos create hand motions to help them remember. Here we used hand motions to help us remember line pairs! Or get kids moving around with task cards scattered around the room. Getting kids moving doesn’t need to be an “ordeal”. Make it fun! It’s the end of the year and copies are low and so are the attention spans of your kiddos. What’s a teacher to do? Did through that supply closet and pull out every piece of scrap paper you can find! Getting kids engaged means creating a learning experience that’s new and exciting. One way to do that is though crafts! When my thirds were D.O.N.E. after FSA, the learning couldn’t stop! So to keep those kiddos engaged, after writing our opinions on bird nests we had learned about, the kiddos got to make bird nests. This was NOT a planned in advance activity… Just a hey… I’m desperate for you to be engaged AND having fun! Or, you could add a craft to a fun activity like basic facts! Plus, doesn’t this look so fun and bright handing up? To using M&M’s to learn more about our friends! This is so cute from Friends in First! Food is an instant engagement piece. As soon as you say, “You can eat it at the end” the kiddos are hooked! So those are some QUICK and easy ways to get kiddos engaged in their learning! What are some of your favorite ways?